In studies of expert teachers, professional learning is central to the development of advanced practice. 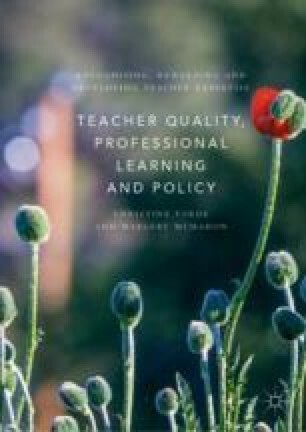 Studies of veteran teachers illustrate the relationship between professional learning and accomplished practice particularly in bringing about change and improvement of practice. A model of professional learning is offered and consideration is given to studies on the development of expertise. Two specific aspects are examined: firstly, deliberate practice and the development of accomplished performance and secondly, collective expertise, tacit knowledge and the importance of an interactional dimension to expertise. Professional learning communities are considered as a method of building collective expertise. Asia Society. (2016). Creating the Conditions to Achieve Quality Teaching for Excellent Outcomes: The 2016 International Summit on the Teaching Profession. New York: Asia Society. https://asiasociety.org/files/2016-istp-report-small.pdf. Bell, M., Cordingley, P., Crisp, P., & Hawkins, M. (2012). Understanding What Enables High Quality Professional Learning: A Report on the Research Evidence. London: Pearson School Improvement. http://www.pearsonschoolmodel.co.uk/wp-content/uploads/2011/09/CUREE-Report.pdf. Collinson, V., Hohenbrink, J., Sherril, J., & Bible, R. (1994, April). The Best Kept Secret … Self-Initiated Change: Veteran Teachers’ Catalyst for Renewal. Conference Paper presented at the Annual Meeting of the American Educational Research Association. https://files.eric.ed.gov/fulltext/ED373061.pdf. Darling-Hammond, L., Wei, R. C., Andree, A., & Richardson, N. (2009). Professional Learning in the Learning Profession: A Status Report on Teacher Development in the United States and Abroad. Stanford, CA and Dallas, TX: Stanford University and National Staff Development Council. https://www.learningforward.org/docs/default-source/pdf/nsdcstudy2009.pdf. Grossman, T., & Hirsch, E. (2009). State Policies to Improve Teacher Professional Development: Issue Brief. Washington, DC: NGA Center for Best Practices. https://files.eric.ed.gov/fulltext/ED507644.pdf. Ingvarson, L., Meiers, M., & Beavis, A. (2005). Factors Affecting the Impact of Professional Development on Teachers’ Knowledge, Practice, Student Outcomes and Efficacy. Melbourne, VIC: ACER Professional Development for Teachers and School Leaders. http://research.acer.au/professional_dev/1. Yoon, K. S., Duncan, T., Lee, S. W.-Y., Scarloss, B., & Shapley, K. L. (2007). Reviewing the Evidence on How Teacher Professional Development Affects Student Achievement, Issues and Answers Report (REL 2007–No. 33). Washington, DC: U.S. Department of Education, Institute of Education Sciences. http://ies.ed.gov/ncee/edlabs.